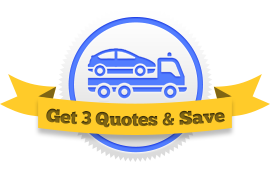 Get a quote from three Towing Insurance Agents at once! Towing insurance takes up a large portion of your business’s expenses. But it is possible to reduce these costs. We’ve set up a tool that gets you in touch with three insurance agents who are each familiar with the towing industry. They’ll look at your information and submit to you their best quote. You can choose which one works best for your business. This saves you time and money. Get started now! What Does it Cost, on Average, to Insure a Towing Business? It isn’t easy to calculate an exact cost of towing insurance. There are just too many factors. Details like where you operate, how long you’ve been in business, and what kind of trucks you drive can influence your premium. For a one-truck operation, your pricetag can range anywhere from $2000 to $15,000 a year depending on the type of business you are. These prices are averages, of course. The only way to find out how much you will be paying is to get a quote from a professional. What determines how much towing insurance costs? Location – Certain areas of the country are more dangerous to drive in, plain and simple. If your towing business is in New Jersey, New York, or Louisiana, you’ll be paying a little more. Vehicles – A light-duty tow truck is less expensive to insure than a heavy-duty truck. The larger the vehicle, the more it costs to insure. Hours of operation – Businesses open 24 hours a day will see higher premiums. Your safety programs – If you go above and beyond state- and federal-required laws, the insurance company might give you discounts. There’s only one surefire way to reduce the pricetag of your tow truck insurance premiums. You gotta shop around. One easy way to do that is use our Request 3 Quotes tool, which connects you with three independent tow truck insurance agents who will compete for your business. They offer you their best price and you save!